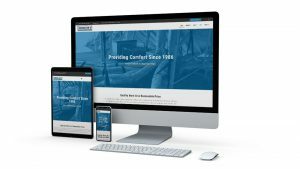 Our extensive background in graphic design, photography, programming, and marketing gives us a well-rounded and unique outlook on different ways our services can help local businesses. We have the talent & experience to design stand-out brochures, posters, billboards, infographics, package design, iconography, logos & more. Our design & development team can bring your digital dream into reality. Our websites are fast & secure. We also offer hosting & custom email solutions for your business. 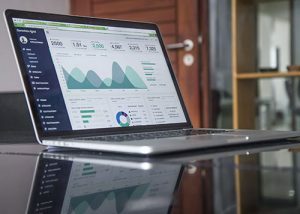 Increase your visibility, get more traffic, and gain more qualified leads from your website with Search Engine Optimization and Pay-Per-Click ads. Increase engagement on social media platforms like Facebook, Instagram, and Pinterest. Whether you need photography for your next event or new headshots for your team, we will provide quality and professional images to represent your brand. If content is king, video takes the cake. We can create interviews, b-roll footage, compilation videos, and we are also FAA certified to create breathtaking drone footage. We created a new logo, new wesbite, and custom email for Bordelon’s Air Conditioning & Heating, LLC. We will soon be adding some photography and video services as well! 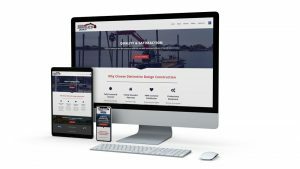 We recently provided Distinctive Design Construction with a new and refreshed website design! In addition to the new website, we provided photography, videography, graphic design, SEO and more! Attention to detail was the number one priority. One of the most important aspects of photography is the lighting and Callen spent most of the afternoon and into the evening at our house to capture the best atmosphere. The images were clean, crisp, and perfectly styled for a cohesive package that appeared very intentional. In addition to the typical shots, KDM also provided stunning drone images to further enhance the listing. Our house sold in less than a day and much credit is certainly owed to the amazing product produced by this team. Thanks again KDM! By far the best marketing company I have dealt with. Built my current website and provide marketing photography. Quick turn around times and flawless design. The only company I’ll use for marketing and design. Owners are reliable and professional. Professional, fast, and efficient services! Great eye for design and marketing!